Do you have a “Benjamin Franklin” in your life? This guide is available to download as a free PDF. Download The Ultimate 50 Ways to Find New Books to Read now. Feel free to copy and share this with your friends and family. I’m not just talking about $100 bills, but more importantly someone who plays the same role as America’s favorite statesman did in molding American thinking. One of Franklin’s little known contributions was The Library Company. It was the nation’s first library and reading community. Like everything else it was born out of his philosophical leanings and desire to share the best books. Imagine Benjamin Franklin in the digital world of today. Surrounded by indie launches and the ebook tornado. A knowledge sharing community like The Library Company would still be relevant. Thanks to the inter-webs, we have it in various forms. This is what this little guide is all about. Giving you fifty easy ways to find new books to read. Because everyone hates turning the last page without knowing where to go next. Let’s turn the first page. Use the bookmarks below to jump to the sections or go at it one tool at a time. Google Alerts is one of those homing missiles that you should really use more often. It can help you track just about anything 4 Things You Can Use Google Alerts To Monitor The Web For 4 Things You Can Use Google Alerts To Monitor The Web For Some of you may have forgotten due to all of their recent developments and projects on the side, but Google is still a search engine at its core. With tens of millions of pages indexed,... Read More – books included. Set up an alert with a keyword related to your book genre or author. Decide the frequency of the alerts in your inbox (Click Show Options) and sit back while Google does the trawling for you. It remains a worthwhile option for some zero-effort book hunting. I would recommend that you set up an alert if you are in the habit of reading books from a narrow niche or specialized area. Stay notified of new books in your inbox. Track a book by its author, subject, or your own keywords. You can track books across all formats from hardcover to audio books, and languages like English, French, German, and Spanish. It’s great for stumbling across new books and authors, especially if your reading habits are selective. The site also tracks the New York Times Bestseller lists for your books in your favorite areas. The Book Discovery browser extension recommends books according to the websites you visit. The tool is not always perfect, but then if you like StumbleUpon, you may enjoy the few serendipitous discoveries you might make. This is another book alert service that makes book discovery and almost automatic process. Set it up with an email address and you’ll be notified in your inbox every week. Select multiple categories for once-a-week alerts, but be selective as emails are sent out for each category you pick. You can also opt for a general weekly email that will feature a generic selection of the best new books each week. Staff picks from the site’s editors highlight the most recommended ones for each category. Kindle eBooks and audio books are covered too. This simple book alert tool taps into Amazon and lets you create a watch list of authors whose new book releases you would like to be reminded about. You get the information on new releases via email or an RSS feed, but only ten alerts are allowed. Take off with the popularity of Product Hunt At 28, He's Running A $7 Million Company That Just Recommends New Apps At 28, He's Running A $7 Million Company That Just Recommends New Apps Links to apps sounds simple, but there's a lot more to Product Hunt – and there is a lot more to founder Ryan Hoover. Read More and its email digest on books. Product Hunt is known for the community powered curation of the best new startups. The book email digest is a similar community-curated email of great new and undiscovered books. If the success of Product Hunt is any indication, signing up for the digest should be a no-brainer. The site also hosts author AMAs at regular intervals. A service that recommends which books you should read next – and sends you email alerts on which book is free or discounted. What more could a happy reader want? Choose the genre of books you’d like to get notified about and the site whips up an email with the best deals in those genres for your inbox. BookBub curates ebooks from top-tier publishers to critically acclaimed independent authors. The variety of genres covered should ensure that you get the books you want to read, and at a discounted price. FictFact is a simple tool to keep track of all your favorite book series. The barebones site is free and comes with several useful features. You can follow an entire series and create your own lists, or set up a “Next Book List” to automatically create a queue of books in a particular series. The site also publishes a book release calendar for all upcoming books. If you want to read a book series in its correct order, try out a search on this site. There’s something about anticipation over a new book and getting a jumpstart on others. The Penguin Random House site tries to quench it by offering its members the chance to be the first to read the best new books, before they hit the shelves. Once a month, First to Read offers digital galleys of not-yet-published books to members. Members get access to the books via a digital draw or by redeeming points which comes from interacting on the site. Read excerpts from the book if you do not make it through the draw each month. The offer is only open to US residents. The digital galleys are available to read on the computer, eReader, or mobile device with software that supports Adobe Digital Editions. You don’t have to pay to start a reading habit. You can kickstart it with free or bargain-cheap Kindle books. The Kindle centric site brings you news of free Kindle Books and the best bargain eBooks under $1, under $3, or under $5. With their daily alerts, you don’t need to trawl Amazon. Pixel Of Ink may be a platform for newbie authors on a promotion trip, but you could discover your next favorite author right there. Your choice for what to read next also opens up as any ebook being offered for heavy 50% discounts are also spotted in the Bargain Bin. Here’s the background on free and bargain Kindle books. Thanks to IFTTT, you can automate anything on the web The Ultimate IFTTT Guide: Use the Web's Most Powerful Tool Like a Pro The Ultimate IFTTT Guide: Use the Web's Most Powerful Tool Like a Pro If This Then That, also known as IFTTT is a free web-based service to get your apps and devices working together. Not sure how to build your applet? Follow along with this guide. Read More . With the right IFTTT recipe you can not only save time but also money. Let’s say you want to get automatic alerts when a new Kindle book is released in a favorite genre. This simple IFTTT recipe keeps a running list of all new books added to the New York Times bestseller list (the New York Times gets a dedicated channel on IFTTT). So, I would recommend you check out the book related recipes there — you don’t need a NYT subscription to get started. IFTTT can do lot for your reading beyond finding the next read. Set up an account and browse all the book-related recipes. Maybe, this reminder recipe to return a library book can save you the fines. One day, Twitter and Facebook might automatically take the social reading route and offer you books your friends are reading. BookVibe does it now by scanning your Twitter feed and showing you the books being discussed by the people you follow. You can also check out what others (e.g. your favorite celebrities) are reading by using their public Twitter handle. Create your reading list with the help of the recommendations on the site. BookVibe is handy because you can take inspiration from the books your mentors might be getting influenced by. We all know, a man is known by the books he keeps! Book lovers need no introduction to this Amazon-run site. The social nature of the service has supplanted its main role of a virtual bookshelf, An Unofficial Guide to Goodreads for Readers and Writers An Unofficial Guide to Goodreads for Readers and Writers I am digital marketer who works in traditional publishing, and I am also a writer. And though I am not self-published, I have two words for those who are: Goodreads STAT. Read More but setting it up as your personal bookshelf is where it all starts, and recommendations on what to read next flow from that. Follow book lists and create your own. Pick the books to read based not only on popularity but also on the individual critiques by the readers. Reading the comments that follow the book listing tells you a lot about what’s inside. If you are looking to improve your reading 5 Tips To Read More Books Every Year 5 Tips To Read More Books Every Year There are just so many amazing books out there. To never have finished at least some is a regret waiting to be felt. Forestall it by reading more and reading smart with the following tips. Read More (or not), take part in the reading challenges. The virtual bookshelf is similar to GoodReads and Shelfari (another community powered site) in that it is a social network for book nerds. Build your profile and catalog before you start interacting with the community. Catalog your books with help from Amazon, the Library of Congress and 700 other world libraries. It’s a great way to discover what others are reading and join in the discussion around books. Surely, a network of nearly 2 million members will be able to give you clues about your next cozy read. Library Thing is free to catalog for 200 books. Membership of $10 (year) or $25 (life) gives you unlimited cataloging options. A collection of 300,000 books is the foundation on which this social reading Can Reading Be A Social Experience? Can Reading Be A Social Experience? Reading has a reputation for being an isolated activity. We often think of people in their pajamas or bathrobe, sunk into a massive armchair in front of a roaring fire, with a mug of hot... Read More platform is built on. Glose is an ebook store and a social ebook reader for your phone, tablet and laptop. At its heart, it wants to be a niche social network around books. The premise is simple – while reading, you can share notes, quotes, and annotations with others. This sharing also gives you an idea of what to read next. For instance, you can make beautiful quote cards with one click and share your favorite passages from the books you are reading. The collection of books may not be staggering when compared to Amazon, but Glose sources books from major publishers like Penguin Random House, HarperCollins, Hachette, and Macmillan. There are other book communities, but Glose is attempting to better the real-time interactivity while enhancing the reading experience. This simple book recommendation service is a one-click way to find which book to pick up. Type in the name of an author or the title of a book you just read, and the site analyses its huge database of real readers’ favorite books to provide suggestions for what to read next. You can save your favorite books in a list by signing in with an email ID. Tags describing the theme of the book is a nice way to bear down on your next book. A sister site Where Should I Read Next helps you find book related to a city you might be traveling to. Chasebook taps into the power of crowdsourcing but in a more democratic way. The voting process piggybacks Mark Zuckerberg and his latest book reading resolution for the year. The Facebook founder also created a Facebook Group called “A Year of Books“. He shares books he is reading and his interaction with their authors. Users submit names and vote on their favorite books. While it’s one way of suggesting what Mark Zuckerberg should read next, it also helps the community dig up interesting books for their own reading adventures. Take a page from Mark Zuckerberg’s own Facebook page. He used the world’s favorite social site to find something to read. A direct appeal to your social circle can work wonders! If everyone is buried behind their own copies of chick lit and zombie page twisters, you need to get more proactive. Hit a few “book clubs” on the social site. Start with Mark’s own Year of Books, as seen in the previous section of this article. The nearly 150,000 members are proof that social media could be the best thing to happen for book lovers since the night light. Facebook is also one of the few places that authors and publishers gravitate to. You do have to do your own digging because not all the groups like “The Book Nest” and “Ready to Read” could be worth a like. Also, go freebie hunting on groups like Free Kindle and Nook Ebooks for Readers or Free Today on Amazon. If everything fails, use Facebook’s Graph Search 6 Cool Things You Can Find With Facebook's New Graph Search Features [Weekly Facebook Tips] 6 Cool Things You Can Find With Facebook's New Graph Search Features [Weekly Facebook Tips] Facebook has just given its graph search another boost, and those who have been upgraded are now able to search post history as well as photo history. What is it good for? Read More to find books to read. A simple Graph search (“Books liked by my friends”) should uncover the reading habits of your social circle. Imagine if a simple hashtag could lead you on a journey of discovery. Two of my own favorites are #fridayreads and #booklovers, but there are many more that a simple Google search will reveal like #amreading to know what books the crowd is reading now. Then there are the fun book promotions which are getting novel by the day like the slow tease by J.K Rowling. And you can find every true book lover via the #IReadEverywhere hashtag! Books drill into our minds, but a site like Pinterest takes it through the eyes. Trust me – it’s a visual feast when you come across boards like Bookworms and Petra Brown. You may also recognize yourself in this board about Book Humor. But what about finding your next read here? Remember, Pinterest is a powerful search engine How to Use Pinterest Effectively (And Avoid the Ridiculous Nail Art) How to Use Pinterest Effectively (And Avoid the Ridiculous Nail Art) It is actually possible to use Pinterest for useful tasks, though it may not seem so at first glance. Here's how. Read More in its own right. You can do a guided search with a query like “book recommendation” or start your book exploration with well-followed boards like Good Books and Reading. Tumblr is like that little cardboard box from your childhood that you open to discover treasures you had forgotten. People take their mystic tastes to the social site and you get a bounty of stuff not to be seen elsewhere. Take Composites as an example. It is a collection of images based on character descriptions from books. Created using commercially available law enforcement sketch software, it is a fabulous way to bring a book to “life”. Unfortunately, Tumblr doesn’t make it easy to search for your next recommended read. Trawl through its maze and bookmark a few blogs like Book and Beer (which goes well with a brown bottle), Go Book Yourself, and the excellent NPR Books. The nicely named Bookstairs also found a place in our list on Tumblr blogs every reader should follow 8 Tumblr Blogs Every Writer & Book Lover Should Follow 8 Tumblr Blogs Every Writer & Book Lover Should Follow Tumblr is known as being a great blogging platform for visual content, and is a photographer's smorgasbord of just about everything you could possibly imagine. That said, there's also an incredible wealth of content that... Read More . Tumblr is also home for authors like Neil Gaiman, Veronica Roth, and John Green among others. The trick is to find a channel that is close to your tastes. There are many good literary islands among the ocean of videos, so happy sailing! This is one of the few book recommendation links a book lover should have front and center. The famous monthly book “leaderboard” is one of the oldest-used methods of ranking based on retail sales, rather than wholesale. Therefore it represents what individual readers (like you) are actually buying. While you are going through the list, it’s worth checking out the previous years’ lists and the monthly lists for more ideas. Ebooks get a category of their own and there are plenty of gems in plain sight once you start exploring. Any magazine which has had contributors like J.D. Salinger, John Updike, Dorothy Parker, and Woody Allen needs to be taken seriously. The famed American publication is on top of the pile when it comes to reportage on events, biographical commentaries, short fiction, essays, and critical review of cinema, books, theatre, and other arts. Often abbreviated as NYRB, it was called “the premier literary-intellectual magazine in the English language” by Esquire magazine. The magazine was started by Barbara Epstein in 1963 and has been the meeting ground for the intelligentsia and their insightful opinions. Coverage includes literature, politics, art, and ideas. The magazine reviews the most impactful new books and the ideas behind them. It has seen articles by Truman Capote, Norman Mailer, Robert Penn Warren, Gore Vidal and more. Browse the site or sign up to the newsletter for information about new book releases, special offers, events, and more. Maria Popova’s careful literary selections could become your favorite destination on the Web. She is a curation whiz who took a side-project and turned it into a popular site. One million monthly readers and six million Twitter followers later, Maria still selects the best reading material she comes across on the Web and books. She calls it her subjective lens on what matters in the world and why. Her selections span art, science, psychology, design, philosophy, history, politics, anthropology, and anything else that broadens our outlook. One of my favorite pages here is Literary Jukebox, a daily dose of quotes from books matched to songs. Being a book lover, the books she picks are simply not to be missed — sometimes eclectic, and sometimes profound. After you subscribe to the weekly newsletter, check out the visual archive called Book Pickings. The site is not only about books, but it is a great place to discover some of the best reading suggested by the curator herself. Even the Wall Street Journal has called Farnam Street one of the best newsletters on the web. The newsletter is a weekly mind diet authored by Shane Parish who is on a single-man mission to make us think better — and hopefully more collectively. Shane reads a lot and he shares his insights in books and articles via the newsletter. A lot of the wisdom shared comes from books. Some of the Shane’s compilations, like Smart People Are Reading These Books, make for their own reading lists. Other nuggets like Why The Skills Required For Great Jobs Are Changing come from books peppered with Shane’s own thoughts. It’s enough to say that if you are looking for deeper books related to how we live and function…this is one of the few newsletters you should sign-up for. The site calls itself an “advertorial publication”. To understand what it is, here’s their About page with the full explanation. But why should you trust it with your book tastes? That’s also answered by the background of John Warner who oversees all of the sites recommendations. If you trust his opinion, allow him to pick for you. There’s a charitable angle too: any money the site receives from user purchases through their affiliates goes directly to First Book, a non-profit that donates books to children in need. There’s bound to be something to read among the 49,000 books Project Gutenberg stocks in its archives. If you missed reading the classic while in school, head to the site. Complete works are available from the likes of Mark Twain, William Shakespeare, Edgar Allan Poe, Jane Austen, and even later luminaries like Winston Churchill. The extra appeal is that all ebooks on this not-for-profit site are free and accessible via any kind of ebook reader you have, or just your browser. It is the oldest digital library Project Gutenberg: More Than Just Free Books Project Gutenberg: More Than Just Free Books Sites like Project Gutenberg, which has over 45,000 books on offer (at the time of writing), will ensure that no book will ever truly disappear. Discovering obscure works of literature is now easier than ever. Read More (founded in 1971) and remains the ultimate source for free ebooks. Book formats include: plain text, HTML, PDF, EPUB, MOBI, and Plucker. Non-English language books are also available. The site also offers one-click Dropbox and Google Drive integration. The site feed is the best way to keep yourself updated on the latest books here. Independent authors are also using the site’s self-publishing tools to launch their works. The author community currently lists nearly 3000 books that are available for you to discover and read. Online book clubs are virtual groups or communities sharing a common passion for books. The concept has come out of real-world book clubs where weekly reading sessions and open discussions are the rule, not the exception. Online book clubs don’t enjoy that interactivity but they can be timely sources of information. Some online book clubs also take their meetups offline – so you get to enjoy the best of both worlds. The best known book club? I can wager it is Oprah’s Book Club. A single mention has helped books climb to the top of bestseller lists. Search with “book club books” and many sites offer titles that everyone can agree on. The idea of a book club is to pool together readers who like to read the same stuff. But as this New York Times article says, things can get pretty serious. Even if you don’t find dedicated book clubs to your tastes, do know that book clubs exists in other forms. We know them as social network groups as the few above. The clues to find what to read next can sometimes come through the ears. Book lovers have taken to the mic in droves and they have an audience too. We have covered some of the best loved podcasts with 10 of the Best Podcasts for Bibliophiles Listen Up, Book Lovers: 10 of the Best Podcasts for Bibliophiles Listen Up, Book Lovers: 10 of the Best Podcasts for Bibliophiles If you're always on the lookout for great book recommendations, these podcasts will keep your “to read” list full, and offer some insightful commentary into the lives of authors everywhere. Read More and The 7 Best Book Review Podcasts & Shows To Discover New Books The 7 Best Book Review Podcasts & Shows To Discover New Books The 7 Best Book Review Podcasts & Shows To Discover New Books Read More . Don’t forget to check out the reader comments for some more good suggestions. A podcast is a great way to beat back those rush hour traffic snarls and your rising temper in one go. Every book is written around an idea. It answers a question – perhaps that’s why we read so many of them. Mind The Book is a simple website that helps you find the right book by connecting the question with the book that answers them. For example, asking “how do I lose weight fast?” provides a list of relevant weight-loss books as you can see in the screenshot above. At its core the site is a question and answers site, but unique in that it’s specifically designed for books. Book Daily displays the first chapter of a book you are planning to read. The site claims it has 60,000 book listings. Sites like Book Daily have come up around the self-publishing Your Guide To Self-Publishing: From Print To Kindle And Beyond! Your Guide To Self-Publishing: From Print To Kindle And Beyond! They say everyone has a book in them. The moment of completion brings a mix of immense satisfaction… and a confused, horrified reality: “How on earth am I going to publish it?” Read More wave and are used by new authors to promote their work. Browsing is free – search for books by genre, title, author, or publisher. The Featured Books section lists books by (sales) popularity. If you are looking for emerging authors, the site is worth a flyby. Between the plot and the first chapter, you might be able to judge a book’s read worthiness. As you can see from the screenshot above, a set of sliders allows you to finetune what you want to read. It is definitely a nice way to browse through the millions of books with all the factors you can throw at it. Ebooks and audiobooks are also covered. The fact that this is a UK based website shouldn’t stop you from using it. Books are sans borders. The site comes with online tools like free opening extracts (10-15 pages) of all featured books, focused sections like Books Behind Films, Debuts of the Month, New Year New You and so on. The necessary genre-specific categories are there too of course. Short story collections and Reading Groups also make for more choices. You should check out the section on Pre-Publication books and the extracts attached for a sneak peek at the latest releases. Wannabe entrepreneurs How To Spark Personal Growth: 5 Tricks Of The Entrepreneur How To Spark Personal Growth: 5 Tricks Of The Entrepreneur Not everyone has to be an entrepreneur, but everyone can learn something from the entrepreneur. By tapping into some of those entrepreneurial traits, you can radically alter your own life in an upward direction. Read More need all the advice they can get. Provided they can manage the time, BlockShelf is a small website that helps with a bit of both. It features many of the most-recommended books on leadership, creativity, marketing and self-development. Each book selection gets a page with the key highlights – or book lessons. If you are in a hurry, this single page helps to distill the nice stuff for you. An interview with the author takes you further into the thought process behind the book. 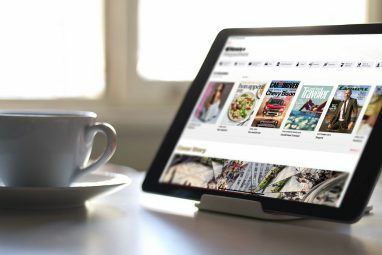 In their own words, the site “is an online magazine for booklovers – including reviews, previews, behind the book backstories, author interviews, reading guides, and much more”. BookBrowse attempts unbiased reviews of books from both established and new writers. It is not affiliated to any publishing house or bookseller and there are links for convenient purchase of books, but the commissions are donated to charity. To answer the two questions of “what should I read next?” and “I’m looking for a book about…”, editors and reviewers cherry pick the best from 3000 books and 2000 authors and find likely suggestions to other books. Books are categorized by genre, time period, setting, and by a wide range of themes. This is just one of the many book-related offerings in The Book Report Network, with other genre specific sites including: 20SomethingReads.com, Teenreads.com and Kidsreads.com. The roster also has a trio of special interest sites like ReadingGroupGuides.com, GraphicNovelReporter.com, and FaithfulReader.com. Like other book sites, this too is a place of discovery with the help of the community commentary on the books and authors everyone enjoys. A feature called “Bookreporter Bets On” brings attention to the books that escape the spotlight but strike a chord with the reviewers. If you are in the U.S, keep their page on book festivals bookmarked. Remember Tinder? Reading Stash is a Tinder-like web and mobile app that makes room for serendipitous discovery of books. Swipe or like a book. When you swipe it away, another book is presented. Like one and you get to go to Amazon to purchase it. Reading Stash is new, so give it time to expand its genres. For now it appears rich in personal development and entrepreneurship titles. Reading more books Want To Read More This Year? Here Are 10 Ways To Do It Want To Read More This Year? 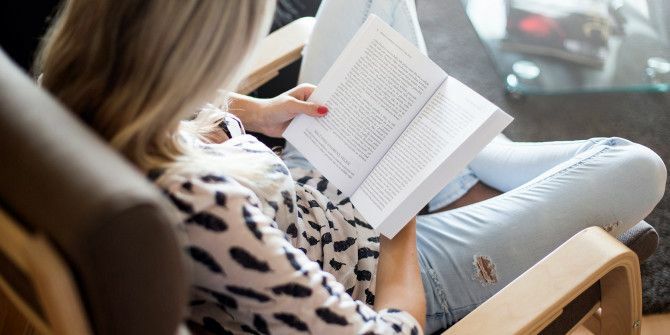 Here Are 10 Ways To Do It Spending more time reading isn't always easy. But think of the benefits -- escape and de-stress, learn new things, connect with people, think in new ways, and gain new insights. Read More is one the popular resolutions that fails at the sacrificial altar of time. Reading books in little bits via email is a compromise that can help us fit some reading into the little sachets of free time we have. Dripread is a popular service that can “drip feed” any freely available book from its library, or you can upload your own books. Open your email and read one chapter at a time. Find books you are interested in by category or by title. You can also keep an eye on the news feed for the latest or the most popular books here. The word “flash” should tell you a lot about the site. If you have 20 minutes to spare in the middle of a busy day, give this an ear. 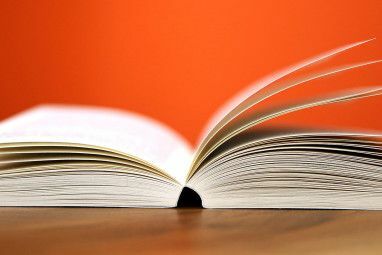 GetFlashNotes.com presents book summaries on self-help and business books. Digest the core concepts when you do not have time to read entire books. The 20-minute book summaries are formatted as downloadable MP3 files for any mobile device. Signing up gives you two free book summaries. Beyond that, you can spend $1 for a 7-Day run. Full membership is $29 per month. Continue your habit of reading books in little email and RSS installments with DailyLit. Unlike Dripread, DailyLit has a mixed bag of copyright free books and books you have to pay for. There are paid books which are made available for free too thanks to special arrangements with sponsors. Nonfiction books are not available yet, but you’s find plenty of literary classics and great new fiction. The book tool covers multiple genres from classics to children. There is an interesting section on banned books as well. With classics like Wuthering Heights and Alice in Wonderland, I couldn’t quite figure this small section out. Okay. I get it. You are ultra-busy and have no time to read. The best skimming services 4 Superb Ways to Skim the Daily News When You Are Busy 4 Superb Ways to Skim the Daily News When You Are Busy In these busy times, getting your daily dose of news is like being dosed by a firehose. Free online news summarizers help. These four newsletters are among the best curated by passionate news hunters. Read More have found their newest member in you. Nuggets is a fun way to distill the wisdom of books with visual quotes and summaries. The screenshot above speaks for itself. You can visit the site, but the better experience comes from their iOS and Android app. This convenient site covers public libraries located in the U.S. Enter your ZIP code, pick your nearest library, and it will inform you by email or RSS about your chosen public library’s newest books, movies, and music. You can click through to the library website and reserve books if the facility is available. I don’t live in the Big Apple, and I am sure that goes for most people reading this/. But it’s worth bookmarking the second largest public library in the United States. One of the reasons are the recommendation NYPL gives you with the help of Bookish.com. The recommendations appear on the side of the page for each book searched for. They are not personalized yet, but rely on clues like author, genre, release date, awards won etc. The nature of the book you are searching for is a good enough starting point to find things to read next. You can also opt to go to the Bookish site and try Bookish Recommends. This is an online book club started by Suzanne Beecher. Her daily column at her book site is a good way to find new books to read from public libraries in the U.S. and Canada. Admittedly, you are following the singular taste of an individual. But being an experienced author herself (just one of her many interests), you cannot fault her taste. She handpicks the books and readers get a brief 5-minute excerpt in their mail every day. The excerpts can help you cover a book in five minute installments in a few weeks – and you also find out if you want to pick up the book from a nearby public library instead. Amazon had to be on this list. It is also the gatekeeper of which book is doing well and what’s worth reading. Do note that both these can be mutually exclusive and an intelligent reader needs to understand Amazon’s Bestseller Rank 8 Things Most People Don't Know About Amazon's Bestsellers Rank (Sales Rank) 8 Things Most People Don't Know About Amazon's Bestsellers Rank (Sales Rank) Amazon has many ways of ranking products, but one of the least understood is the Amazon Bestsellers Rank. Let's try to understand what it means for you as a buyer and a seller. Read More . The obvious way is to use Amazon’s Book Search, but beyond that you can dive deeper into the written word with The Omnivoracious. This Amazon book blog is moderated by the book editors and makes for a town-center gathering of authors, book aficionados, and publishers who are talking everything and anything about books. You can share your bookshelf too! 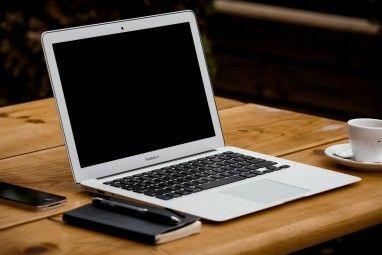 It’s just one of the Amazon resources 7 Really Free Things You Can Do On Amazon Without Spending A Single Dime 7 Really Free Things You Can Do On Amazon Without Spending A Single Dime Everything here might be tagged with a dollar sign, but there are many alternative ways to use the resources on Amazon. Yes, they are free. Dive into Amazon's depths. Read More you can use without buying anything. Google seems to know everything, and books are no exception. Google Books is the little corner where you can discover old and new books, though you cannot download whole books that aren’t in the Public Domain. It also does not display the entire text of other books, but its usefulness is similar to Amazon’s “What’s Inside” feature when you want to find out more about the content. Search the huge index of books and use the service to review your next purchase decision for yourself. Use the Advanced Book Search with some wildcard search operators and keywords when you don’t know the name of the book or the author. As I managed to explain before, you can use Google Books for lifelong learning and research 10 Ways to Use Google Books for Lifelong Learning and Research 10 Ways to Use Google Books for Lifelong Learning and Research Read More . This is how you’ll have to buy the book if you find it with a search on Google Books. You can read your favorite books with the Google Play Books app (Android or iOS), on your computer’s browser, or with the Play Books app for Chrome. It is available in most countries around the world but do double-check the regional availability. There are some nice distinctions like Movie Tie-ins and Want quick suggestions? which offers more recommendations based on your browsing activity. Google Play Books also has a free section. All books come with a preview or free sample, which is sometimes generous enough to help form an opinion about your next read. For me, one of the best ways to follow what’s going on at Apple’s iBookstore is their Twitter feed. There is the direct way of course through the iBooks app on your iOS device or the Mac. But I like stumbling across the good ones, just like rummaging through a dusty shelf of a second-hand book store and walking away with a treasure. You can always ask Siri to search 8 Things You Probably Didn’t Realize Siri Could Do 8 Things You Probably Didn’t Realize Siri Could Do Siri has become one of the iPhone’s defining features, but for many people, it’s not always the most useful. While some of this is due to the limitations of voice recognition, the oddity of using... Read More for the particular title or genre you want. The iBookstore has its own best-seller lists for each category and the New York Times best-seller list too. There are many free books sourced from Project Gutenberg and the public domain, and the alphabetized list of top authors is helpful. What’s sorely lacking is the feel of community. Even Amazon has it to an extent with its comment section and the “Customers Who Bought This Item Also Bought” section for each book. Apple bought BookLamp.org last year, so recommendations may yet improve. Don’t forget to try out the iBooks shelf on GoodReads. Are You Choosy About Your Next Read? Finding a book to read used to involve a tip from the local librarian or a book borrowed from a friend. Now, you have a million faceless voices telling you about the million influential books you should read next. Information overload is overwhelming, and you need to cut to the chase quick. These websites and apps help you to be picky about what you spend your money on. These tools can help you search the right book for your kids How to Pick the Perfect Book for Children How to Pick the Perfect Book for Children There is no better gift for children of any age than a book. But once you've exhausted your own childhood favourites, where do you turn to for other options? Read More and spark the boon of bookishness in your child. Their lives may never be the same again. If I am sounding like a card carrying member of the bibliophilic tribe, I will go into just one reason that has stood the test of time — losing yourself in a good book is the closest you can come to world peace. You don’t need a MRI scan to tell you that when a book “connects” with you on a sublime level, it can bring about deep mental changes. Our reading habits How to Use Micro Habits and Spark Massive Personal Change How to Use Micro Habits and Spark Massive Personal Change Creating new habits is hard. Habits are usually built over weeks or months of repetition, and motivation is the challenge. When the going gets tough, micro-habits can be a huge help. Read More determine the way we handle the books in our lives. So, by all means be picky when you are searching for a good book to read. Did this little guide help your cause? What was your most influential read that involved you from the first page? We’d love to hear about how you find the next best book to buy, borrow, or steal. Explore more about: Book Reviews, Ebooks, Habits, Hobbies, Longform List, Reading. As an avid reader, this is a treasure! I am looking for a way for my middle school students- mainly the ones who don't like to read- to find something that might interest them. There are a couple of these suggestions that might work for them. Do you know of anything that specifically targets younger readers? I thought we could start with BookBrowse and GoogleBooks. Thanks Carol. I was surprised by the sheer number of book recommendation websites out there. Just shows that the reading habit isn't dead yet in the age of short attention spans! Wow. INCREDIBLE article, Saikat. Really extensive. I use Good Reads (while being ignorant of the fact it's run by Amazon) quite a lot, but otherwise scout out books by authors I follow on Twitter. I also used to work in a bookshop and was responsible for putting out new books into a chart, so that was helpful - if expensive! Still, you can't spend too much on books. This was a huge effort, but then for book lovers like us, quite a lot of fun. Deliberately hunting for books has become so important because of the hype around each new one. I scan as many reviews as I can find before I plonk down the cash.